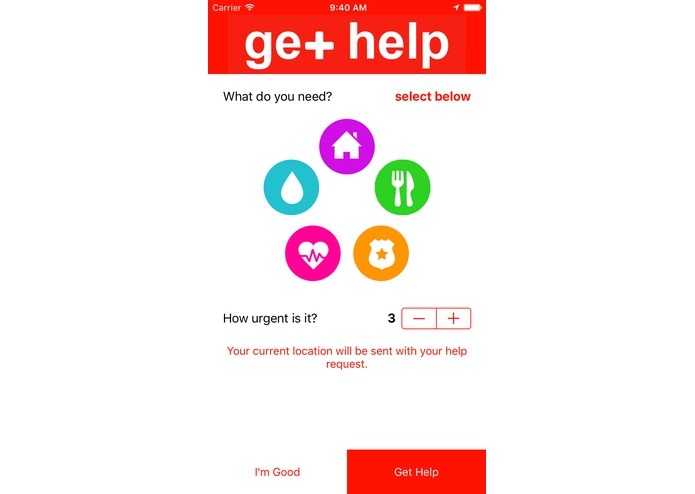 Help is a crowd sourced disaster relief app that provides help to those who need it and an outlet for those who can provide help. This app was designed to develop an easy way for the common person to contribute to their society during times of duress. While organized recovery efforts exist, it’s hard for people to commit and participate in them as a group. Help allows individuals to make a difference wherever they can. Additionally, help isn’t always easily accessible for those who need it - either because they don’t know who to ask or they physically can’t. 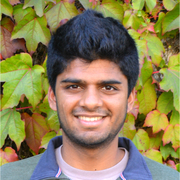 Help’s universality and easy-to-use interface diminishes both these issues. 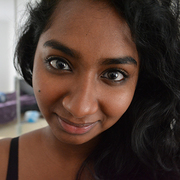 Help matches people in need with people who can help. People can request items or services with a few clicks and a record is immediately made for them containing the relevant information. Those looking to help can access these records, specifically the ones closest to them, to reach out and offer assistance. The type of service needed, the location it is needed at, and help with how to get there are provided for the responder. The idea is that everyone has something to give and something they need. Even if someone doesn’t have a medical degree or own a five star hotel, they still have services to offer. They can help bandage people up or offer a sleeping bag and some floor space for the night. The options are simple. The process is fast. Help is crowd-based. Anyone can get the app, anyone can get help, and anyone can help. We’re not trying to build just a support system, but a support network. Our app was built in Swift, leveraging cutting edge technologies such as IBM’s Bluemix platform and trnql’s location aware services. We wanted to ensure that our database would always be accessible, even during times of disaster. 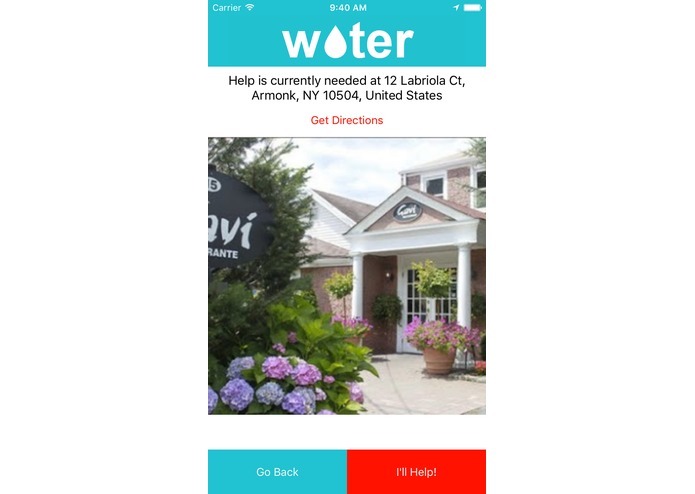 Furthermore, the location services increase the usability of the app by enabling help to be brought to those in need with minimal additional effort. We wanted to make the user interface as friendly as possible. If someone needed help urgently, they wouldn’t have time to fill out any forms or make any phone calls. 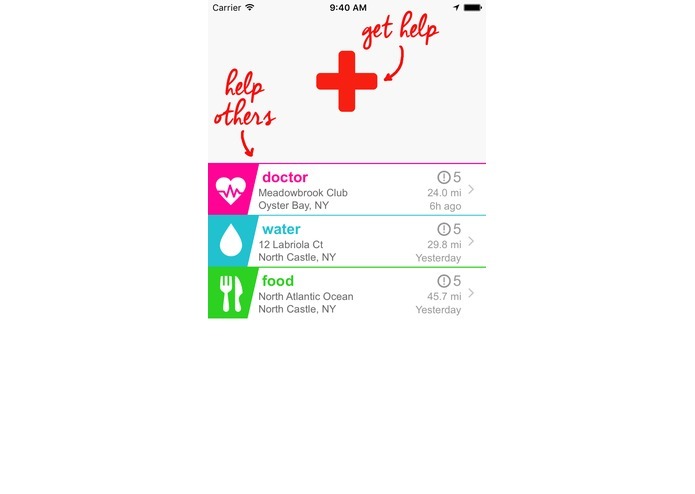 Help allows its users to request help with just three taps. The buttons were also designed to be easy to click while in a rush or debilitated and the color scheme is bright and is designed to instigate hope during dark times. Furthermore, the interface places emphasis on conveying ideas through images to minimize time spent processing words and make its use more intuitive. Help is designed to be used by the average individual. However, partnering with larger organizations and charities in the future would increase our responder to people in need ratio, enabling our app to have largest impact. Future versions will include features like push notification to alert others when someone nearby is urgently in need of help, comment boxes to enable those requesting help to describe their needs comprehensively, and contact information to improve the interactions between our users. We know you've been itching to download this app. It's now available for download on iTunes (see link below) and an Android version is in the works. 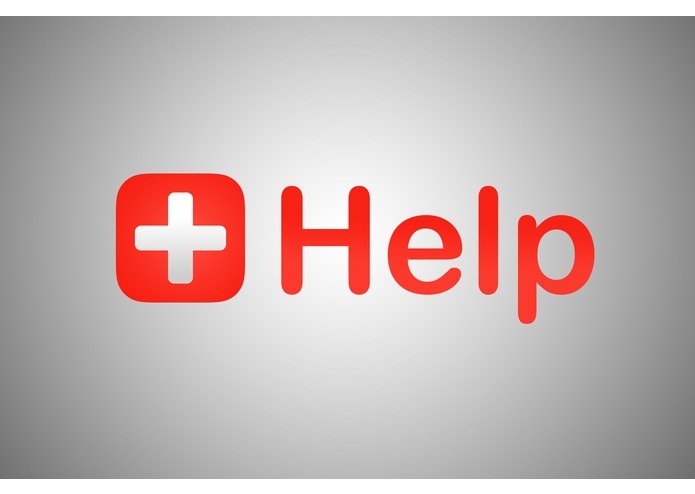 Help is now available on iTunes!